You are here: Home » News » Financial News » Equities » Prophetic dream warns of ferocious angry bull. I was looking at this bull from a window inside a large home. Outside, I saw two younger adults or teenagers. They were standing in different areas. The bull was looking to destroy anyone he could find, he was watching for movement. As I was looking at this bull, I was trying to let the two outside know when it was safe to run into the building. As the bull looked away I signaled that it was safe to run in. The first attempt by “one” of the people was met with failure. The second attempt was successful. The door to the home was small, maybe half the size it should be, low to the ground. As the bull ran after the one person, he slammed into the door, immediately after the person ran through the opening, and the person was safe. I believe this dream represents what is happening to the stock market. This bull was strong and powerful, fueled with rage and anger. There was the spirit of death on him. I have a feeling most people will be livid when this happens. There is a lot of demonic opposition out there against people making the right choice. The doorway to escape from him was small because there is a small window of opportunity for a person to position oneself for what is coming. A person can warn others what is happening, but few will make it on time. The Bible says satan comes to kill, steal, and destroy. By listening to the Holy Spirit, a person will know how the Lord wants them to position themself. But the window of opportunity to do this is closing. It is not just finances the Lord wants to protect, but the salvation of our souls. Another confirmation came from a short vision on October 28 in which I was looking straight up into the sky next to a tall skyscraper, watching a lamp falling straight down and coming right at me like it was going to land on me or very near where I was standing. So this shows a similar sequence as the dream about the man with the gift for seeing the markets, first way up like a skyscraper, then way down like a lamp falling, lights out. I also had a dream on November 28 where I saw a big green 2920, which I think is showing a coming top in SPX. Cycles analysts have identified a low coming in mid-December. To help locate this low, I used my Fib Time Zone tool on Tradingview and connected the October 3 top with the October 29 bottom. It then nailed the November 23 bottom and is forecasting the next key date is December 19, so maybe that’s the date for the low. SPX dropped to 2603 on October 29, but I think this next low might be a little lower based on a couple of dreams, which I interpreted as showing drops of about 250 to 266 points with a very fast bounce of about 40 to 50 points, but the bottom will depend on where the drop starts. My guess is Peachey’s bull shows up at the December low and makes a fast run up to 2920. Whenever it is, it will be dangerous for anyone holding short positions, but also for anyone who thinks the bullish run will continue, which will probably include most people since it will look so strong. Peachey saw it came to a sudden stop when it “crashed” into the small door. Just when it appears all is well, then a sudden unexpected crash begins. The bull’s black color could be another clue about what it’s bringing since big drops in the stock market are referred to as black days. Prophetic dream reveals demon cast out of Jewish synagogue. Hi Phanuel, can you share more details about the visions you’ve had for this December? Thanks. I intend to put an update together. Also there is a 2018 wealth transfer dream that I understood will begin this year with debts being paid off. Phanuel, you were told “at least 60 days” , which means “60 days or more” , so the critical period does not end on Dec 5, but actually STARTS from Dec 5 or later. I think sometime in December . Phanuel – Was the message you received regarding the 60 days and December 5th specific for the broader market (S&P)? Just wondering. I have been watching the price of oil and USO. October 4th was the first down day after its peak price on October 3rd. Since that day, the price of oil has moved down with little or no rebounds. Could oil price be a candidate for fufillment of what you received? I have been waiting to see what happens with oil. A possible event with Israel in December may trigger a dramatic price increase. It was in reference to the stock market. Futures up are 45 points for SPX and 450 points for the DOW, so the dream was right on Cue. I’m just waiting for the top of this current move up to renter. Oil may also be affected, because the markets are interdependent. Phanuel, I just read in a news article today that the stock market is going to be closed on Wednesday (12/5) for the National Day of Mourning for the passing of George H.W. Bush. That seems odd that they would close the stock market for this. Also, I don’t know how accurate Q Anon is, but there is a video from the Prophecy Club on Youtube saying that there will be mass arrests of leaders, many of whom are congressmen, on December 5th. So, December 5th seems to be a very significant date. My guess is that the stock market will drop on December 6th. What are your thoughts? Thanks. Q will say ….do you believe in coincidences? It’s possible we start dropping on Dec 6 or later, especially if it continues to hit resistance at the 62% fib level (2815-2820). I woke up from a dream saying “Head-Fake” today. This is confirmation to me that when this drop ends we are going back up like James and Phanuel have been shown. I didn’t see any numbers or dates. Thanks for sharing that confirmation. I would have shorted this big time on Dec 4 (per the 60 day dream), but my funds were not ( and still not) yet available. However, in the FAZ @$42 dream (on 9/6/2016), I had a decent amount of FAZ. So I tend to agree with you . Hi Phanuel, I will be buying FAZ soon when we get up near the next top. Thank you for posting what The Lord has shown you about COB, I bought some more today. God bless you and your family. Hi Phanuel, looks like that opportunity to get into FAZ may be getting close, FAZ is almost near the mid $10 price range. In that topping window now..which ends on March 17th (Dec 21-Mar 17), I think we see lower Faz prices. Phanuel, your Fat B Here! Is FAZ at $46 still on the table? SNS: you posted about Dec 1 “The Geronimo dream posting has 3 legs down” The SPX has had the three legs down. What say you now? SNS, are you expecting Equities to rebound, before a PLUNGE? FED says 0.25% interest rate hike now, but will have a softer more flexible approach for 2019. Could be, but based on all the confirmations I shared in this post, I think Peachey’s dream shows the coming rally in the stock market. James, will you please update your EY6 diagram? Thanks. Thank for the update. Currently SPX is about 2760, just 60 points away 2820. 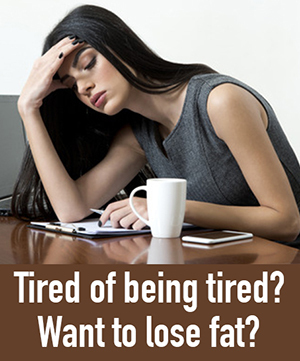 It could take just one trading day . Sum up your explanation: 1. 2820 drop 266 points to 2554. 2. From 2554 rise to 2920. 3. Then 2920 drops 891 points to 2029. If your understanding is correct, then it would be great rides. 1. Close all call option ( if any ) and buy put option at 2820. ( if it goes pass 2820 and goes up to 2920, just simply buy more put option at 2920. ) 2. Close all put option at 2554 and buy call option. 3. Close all call option when it rises to 2920 and buy put option. 4. Then at 2029 close all put option and buy call option. ( this is not financial advice. ). How much down did the V in the middle of the W went down relative to the 2nd leg move up do you think? Maybe like a 4th or 5th or what down relative to the way up? When I saw the slanted W, I did not see that level of detail. I noticed the V shape in the middle only after looking at charts. Dear James, you saw +166, 2820 and 2920, which we assume to be SPX. Why do you guess or assume that SPX might drop -266 before the big rally? Great question. Putting these little pieces into the correct sequence is very challenging and my assumptions could be wrong. My thinking is the 266-point drop makes more sense prior to the return back up to 2920 because the drop from there will be much larger. I saw a black 891 and I think it was showing the size of the drop with black representing the crash week. So it’s the difference between the small dog and large dog. I also rely on cycles analysts and the ones I follow are expecting a lower low in mid-December. Regarding the green 166, I was not shown the timing, but that kind of fast move up seems most likely to happen after a big move down, which could be after the 266-point drop or after the 891-point drop. James, didn’t you have a dream a year back or so of the market going back to the top and then one day later a huge drop? Was that fulfilled, or still a possibility? This year, I received a dream in which I saw a similar pattern revealed by a small dog on my left and a much larger version of the same dog on my right. Then the large dog suddenly viciously attacked the small dog. Dogs are bearish market symbols, so I think this was showing the small drop followed by the much larger drop. Neither of those dreams revealed prices or dates, but I think the small dog drop started on Oct 3 and is still unfolding. It dropped from 2940 on Oct 3 to 2603 on Oct 29, but I think there is a lower low coming in mid-December around 2550, followed by a strong rally back up to 2920. Then comes the much larger drop. If that’s right, the small dog would be about 390 points. I have the large dog drop being 891 points. I initially understood 828 923 to be a crash window like prior prophetic sequences, however, it turned out to be topping window ( 2940.91). We expected a big drop after that which was fulfilled. I had a warning dream on October 7, that the drop was going to be limited and short lived. Based on this dream, I understood a wait of at least 60 days was forthcoming before any crash. This was fulfilled with the price action on DEC 4-7. If I had my funds available, I would have shorted the market “big time” on DEC 3/4. I wasn’t able to go short which was inconsistent with a FAZ dream I had two years ago. In this dream on SEPT 6, 2016 my FAZ profits kept growing as the price crossed $42. In a vision on 10/13/18…. I saw the Nasdaq drop about 1000 points (panic selling) and at a price of 6900. A few days ago, I had a dream of climbing up a mountain….the climb wasn’t too steep or long. A new set of boundary dates “DEC 21st- MAR 17th” is now released, based on dream. I also had a dream of being in a short position around Denzel Washington’s Birthday (DEC 28)–if my understanding is correct. Let’s see if I have my appointed FAZ shares by then. I also saw the date March 16, 2019 separately in a vision. As long as FAZ isn’t reverse split we are still on track for prophetic fulfillment. Phanuel, Thank you for sharing. What do you believe is the significance of Dec 21st – March 17th? My preference is a crash window. But there is a small possibility it could be a topping window. I saw a spaceship launch rapidly within those parameters. Thank you for your reply Phanuel. Regarding the spaceship launch, would that be what happens after the crash, or do think something else, such as a literal launch of a spaceship being some sort of marker in time? I was thinking spaceship could be tech stocks too. Very timely update from Lois. That was a wonderful spiritual interpretation, Peachey. 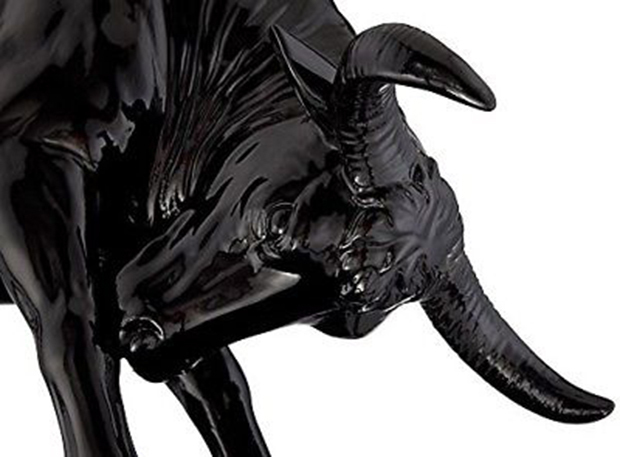 In the market realm-Its a black bull-it’s oil. Oil ETFs have been big gainers and losers this month. Oil bears made some profits for sure. His soft, curly hair is sheep-like, because for most, the outlook for investors and futures is speculative that it’s still going to be bearish. No one is certain of which way it’s going to go, however, as the markets zigzag back and forth in daily confusion this month, waiting for any news to throw them a bone in either direction. (curly short hair-little ups and downs) Oil is where the bears and shorts(low door, youngsters) made some serious profits these last two months. But the bull is raging -OPEC, Saudis, Russians are more than miffed at TrumpsTweets and US production keeping their prices down. Saudis need crude oil prices at $70. The bull breaking out and the short sellers running to safety is a warning that the Saudis will have their way and investors better be ready for oil to go back up. So, short hair and low door is telling short sellers and bears (OILD, DRIP, etc) who had a happy Nov. and Dec. to get ready for that angry bull to break out..but then the bull will hit a wall, after his angry outburst. I’ve had some vivid oil dreams and revelations recently. One with an M pattern. 2nd leg up is coming? OILU, GUSH? Take this to the Father for guidance and direction. Good to know, SNS. OILU is my plan. Oil might be the factor that pushes Equities up, or it might be the other way round. Carolanne, have you had any revelations about Stock Market, or crypto? Cunny Fred, Not hearing much on cryptos, sorry. But one could probably load up on substantial shares of RDD or ETN, or LTC with a small investment right now if they are led… don’t really understand what drives the crypto market , and have not been led by the LORD to dive in…yet. But for those who are positioned and holding, my prayers are with and for you. I will celebrate and rejoice for you when that day long-awaited day comes. Equities-your guess is as good as mine. I’ve held FAZ for a year, so just am led to reinvest my profits only as it goes up. And hopefully add to my position when it hits the prophecied lows. Because it fluctuates so much, that is what I was instructed to do. Don’t want to be blindsided if something suddenly happens. And I might get itchy fingers to put my money somewhere else that might get stuck in an inaccessible rut, as I am of an impulsive nature, and the LORD knows my weaknesses, lol. He has taught me to research carefully anything I’m contemplating, mostly through mistakes I’ve made. Although some z3ers have vivid dreams in SPX numbers, I’m not always focused enough to watch for those fulfillments. So when it comes to FAZ, I am always staying positioned. a risk-taking day trader I’m not. I have only been enlightened on opportunities but a year ago Guess that would label me inexperienced! But the LORD is nudging me to ease into doing just that. It’s been fun learning from the pros here, but I’m still not savvy. I enjoy learning what others are hearing or doing, just like you. So I’m going to ask, what say you on these matters?